There was quite a bit going on in 1871. Kaiser Wilhelm proclaimed the second German Empire and, following Germany’s victory in the Franco-Prussian war, the Parisians revolted, starting another bloody chapter in French history. Marx and Engles took notes and discussed what the Parisians were doing wrong. Henry M Stanley set off for Africa and started going over good opening lines in his mind in preparation for his meeting with David Livingston. By the time he found him, Stanley had the sound bite he wanted. The Great Fire burned down a big chunk of Chicago and in New York, Susan B Anthony was arrested for voting in an election – Good Lord what was her husband thinking of? Get back in the kitchen, woman. Margarine, in the US and Rugby Union, in Britain, put in an appearance and in the first Rugby International, Scotland beat England. Back in America, Brigham Young was arrested for bigamy, while Jesse James pottered from bank to bank, collecting any spare cash he could find. Aida was performed in Cairo, so they opened the Suez canal while everyone was there. Victor Hugo hadn’t been invited so he stayed at home and wrote a poem about the revolution and wondered if Les Misérables would have been better as a musical. 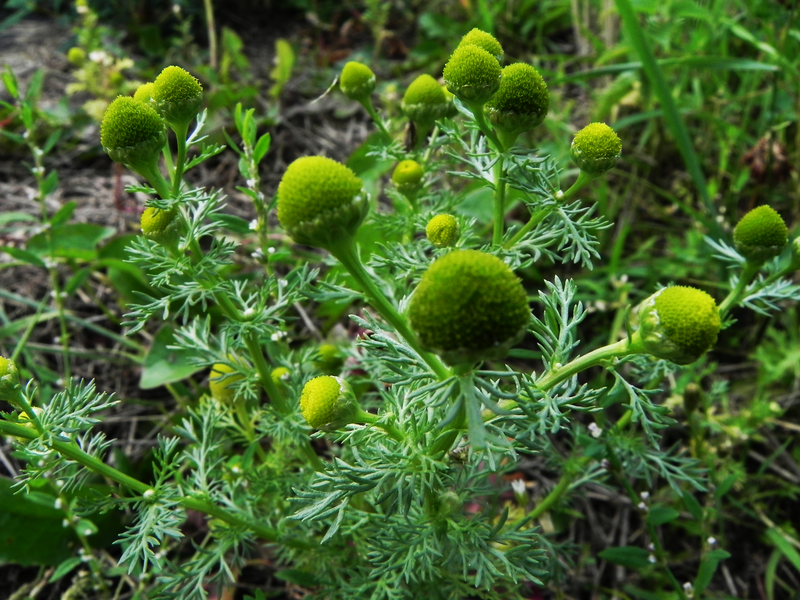 Oh, and in Britain, they recorded the first sighting of that wretched, American, pineappleweed. Who knows how it came to be here! Luckily, we don’t use candles the way we used to. The odd tea light now and again and the odd candle-lit dinner is a far cry from candle-light being the only light available after dark. Moths, generally approve of that. These two had picked up an amazing deal on that website that sells South American rivers and just couldn’t put the book down. They popped in to our place to read a few more chapters while we had the bed-side lights on. I think they were both so engrossed in the story, they didn’t notice each other. I did the upturned tumbler and the drinks mat trick and opened the window so I could shake the glass, outside. They were quite irritated with me and promptly made their way back in. Eventually they came to the end of the chapter and I was able to persuade them to leave. 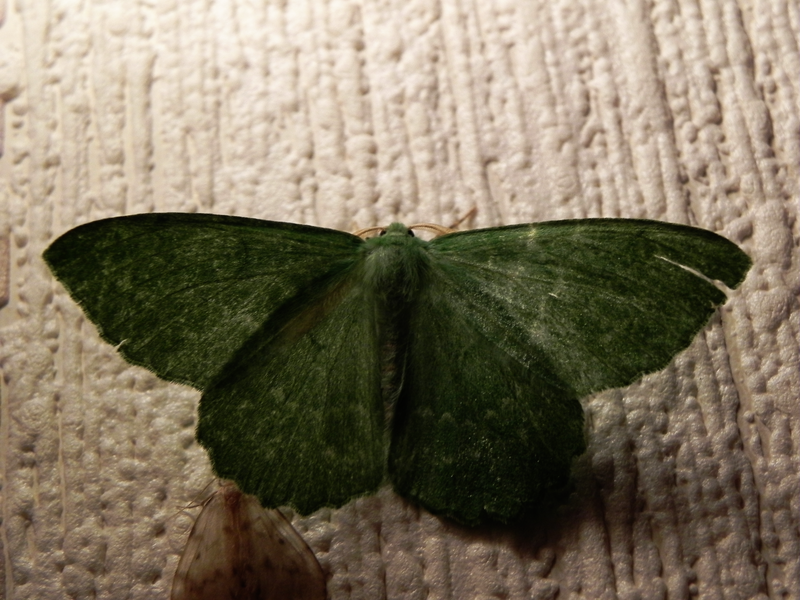 The bigger of the two is a Large Emerald (thank you Wild About Britain), he is much greener when he first takes his caterpillar suit off, but that green stuff is just so difficult to keep clean, you know. He likes Birch and Beech and Hazel and, very sensibly, sleeps through the winter. The little guy is a Muslin Footman. As a larva he is partial to lichen on dry stone walls. There’s a few of those around here, so he’ll be fine. Today we have Hedge Bedstraw, I can say this with confidence as the information has come direct from Chris on Wild About Britain. It has been much harder to find something interesting to say about it though. Everywhere Google and I looked, it was a case of “and , of course, there’s Hedge Bedstraw” or “there are many other members of the Bedstraw family, such as Hedge Bedstraw.” I definitely began to get the impression that Hedge Bedstraw is the poor relation, or perhaps the middle child. Goosegrass or Cleavers seems to be the favourite, we certainly have it in abundance around here. Perhaps this is the reason for its popularity, just its plain numbers. If you needed a new mattress and you were gathering Bedstraw to fill it, you would be pleased to find large quantities readily to hand. Just think about how much Bedstraw you would need to have a mattress-full, not just full but stuffed full, so as to keep you off the cold, hard ground. I really don’t have to tell you that this boringly common Bedstraw, uses those little hooks to climb all over the plants nearby. It certainly doesn’t stand on its own two feet or its own one stalk either. It needs something to provide support. Something like a hedge, say? 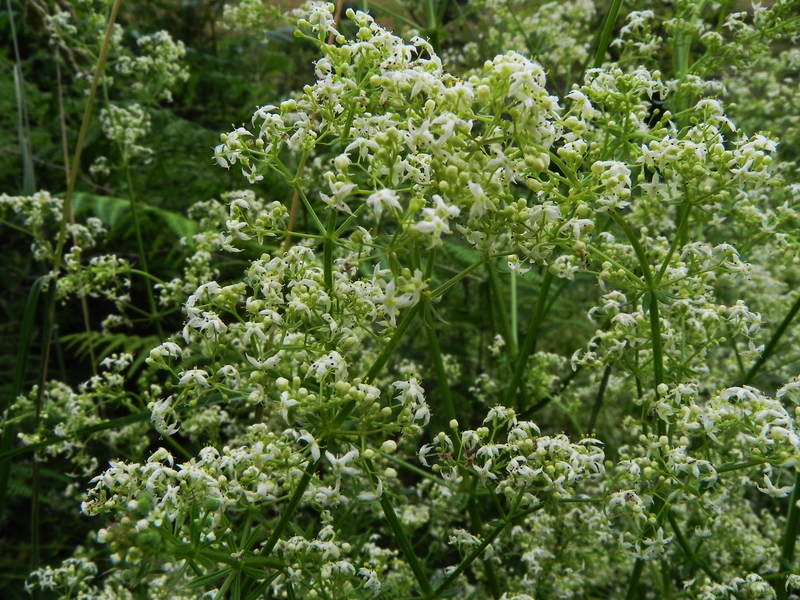 Hedge Bedstraw on the other hand is quite independent and self supporting. It does not require a hedge to climb on. There is a concept ‘out there’ that real life isn’t real at all. It is all in our imaginations and there is some kind of over-spirit that melds the various imaginings from, not just people , but animals, trees and plants too, so the real life we see is actually the result of the sort of slush that comes from the mixing and melding process. I sometimes think I’ve dropped through into that slush when Google and I are prodding around, looking for something that might interest you. 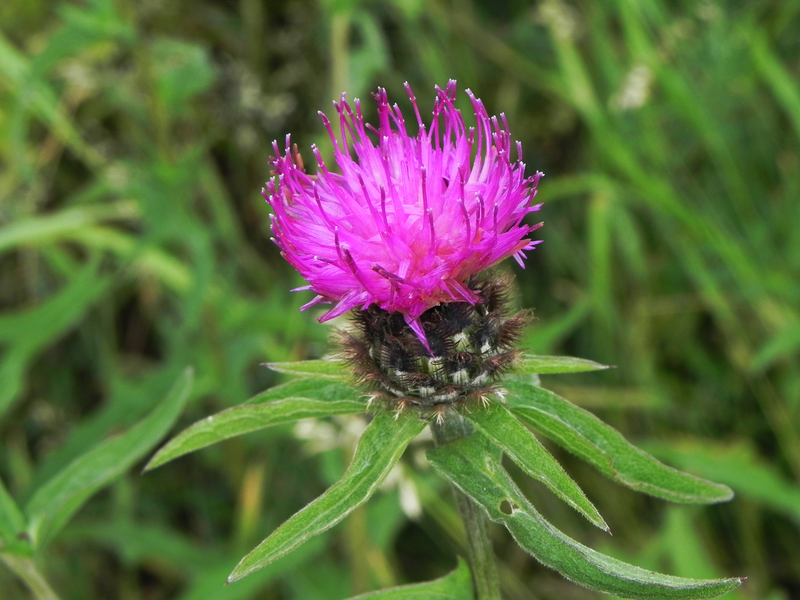 Today’s photo is of Knapweed – the Common or Black variety. It’s name comes from its resemblance to a hammer. These days, knapping means flint, arrow heads and other stone tools. Looking to see if the Internet knew anything interesting about knapping led me to Ishi. In 1911 Ishi caused quite a stir in California when, nearing starvation, he was arrested for stealing food. He had been born in around 1860 and had spent all his life dodging bands of roving ‘Indian hunters’ who had succeeded in wiping out his entire tribe and most of the other tribes he was related to. As he had spent the last forty-odd years in the wilds, living the life that his ancestors had lived, he was completely ‘out of his depth’. What is now the Phoebe A. Hearst Museum of Anthropology in Berkeley, California took him in and gave him a job. He lived for another five years, passing on his unique knowledge of the lives and customs of his vanished tribe. Then he succumbed to TB – one of the ‘benefits’ of civilisation..
As well as passing on all that priceless information, he took the time to teach friends and colleagues the right way to knap flint and how to make stone tools that actually work. We were on a tight schedule today, so needed to move right along. A pity really, because the air felt fresh and there was a nice breeze keeping things cool. The sky was full of clouds admittedly, but they were compact cotton wool balls, well perhaps a bit larger than that – but with plenty of blue sky for them to wander round in. Even the mountains, who we haven’t seen for weeks, away for their summer break I think, were back in their usual place. We went down to the beck, to see how he was feeling after the heavy rain of the last few days. 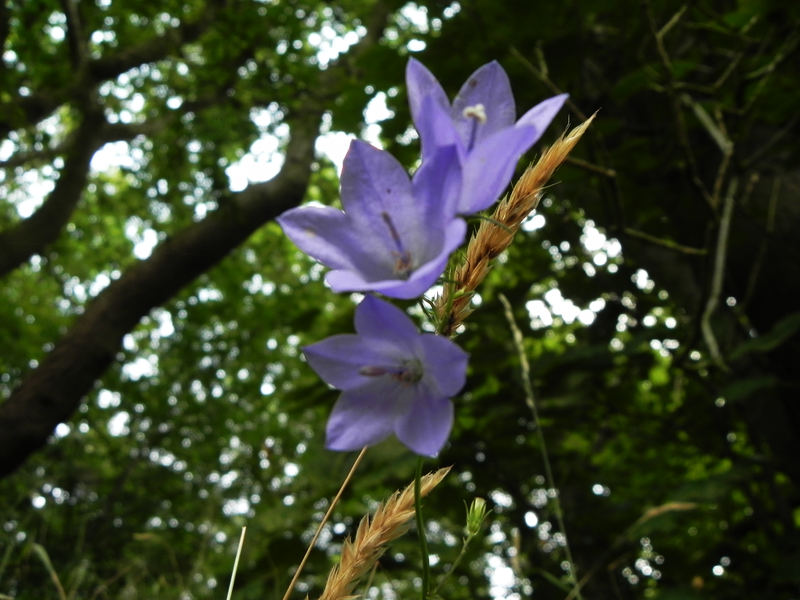 He seemed quite relaxed and was murmuring quietly to himself. With all that hot weather he has been feeling a bit drained, you know. On our way over from the upstream side of the bridge to the downstream side, we came across this guy, just standing nonchalantly, in the gutter. Yellow flowers but prickly leaves – sort of thistley but not thistley. We thought we’d have a chat with Google about it. Now, I must tell you here, Chris, over at wildaboutbritain, has been kind enough to give my posts here, a cursory once over. He found that on average, my guesses at identification were mostly wrong. You have been warned. 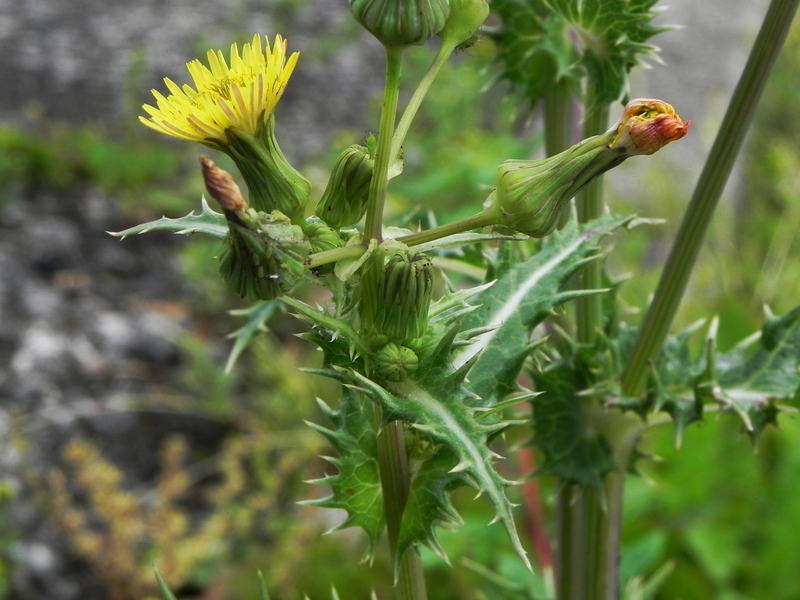 I’m going to stick my neck out here and label this photo Prickly Sow Thistle. After they become bored with being mad, March Hares eat it to restore themselves to normal, apparently. I have met a few sows and they seem to be mostly good natured, perhaps it’s the weather. We’ve had some very heavy rain the last day or so. Thunder, lightning, the works. This is quite a change from the blistering (relatively) heat we were subjected to for the previous week or so. Now, I know I was chiding Global Warming for his laid-back approach, but I didn’t mean to upset him. I obviously touched a raw nerve. At this time he could probably do with sympathy, not nagging. He has been handed the sticky end of the stick, you know. With the thousand and one things that go into the pot when you cook up a batch of climate, it’s hard to get the recipe just right. If you have too much of this and too much of that at the same time you end up with an Ice Age. A few (tens of thousand) years ago there was too much pepper. The pot held swamps and ferns and palm trees and it was splashed around liberally all over the world. Just recently, we’ve added more water and it has started to cool down, another eon or two and we’ll be back in an Ice Age again – all mammoths and fur coats and igloos. Poor old Global Warming is completely out of his depth, he was born too soon – or too late. The Dog and I walk past this tree often and I’ve never noticed these markings before. We had waited for the worst of the rain to stop and then made a quick dash up the road and back. 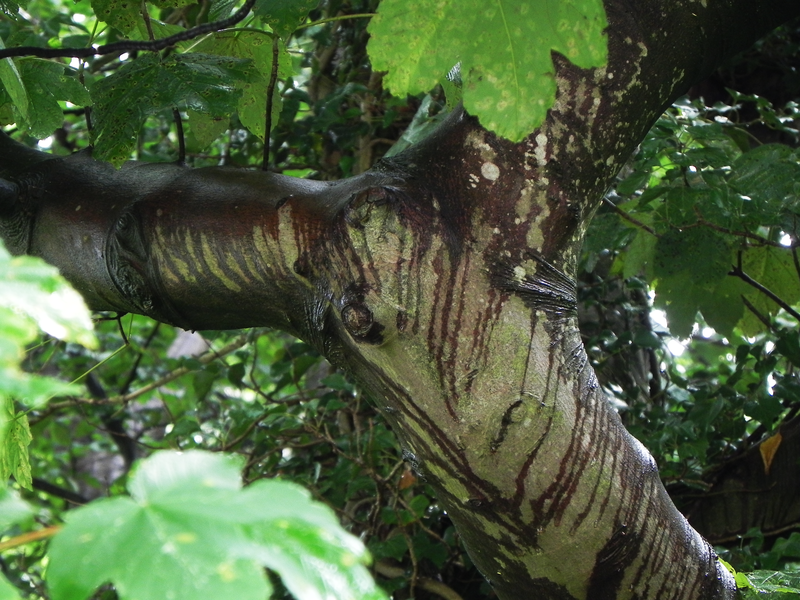 It took me a minute to realise that the tree, in common with everything else, had accumulated a coat of dust in the hot weather and being caught in the downpour had caused the colour to run. It’ll be needing to make an appointment at the hairdresser.